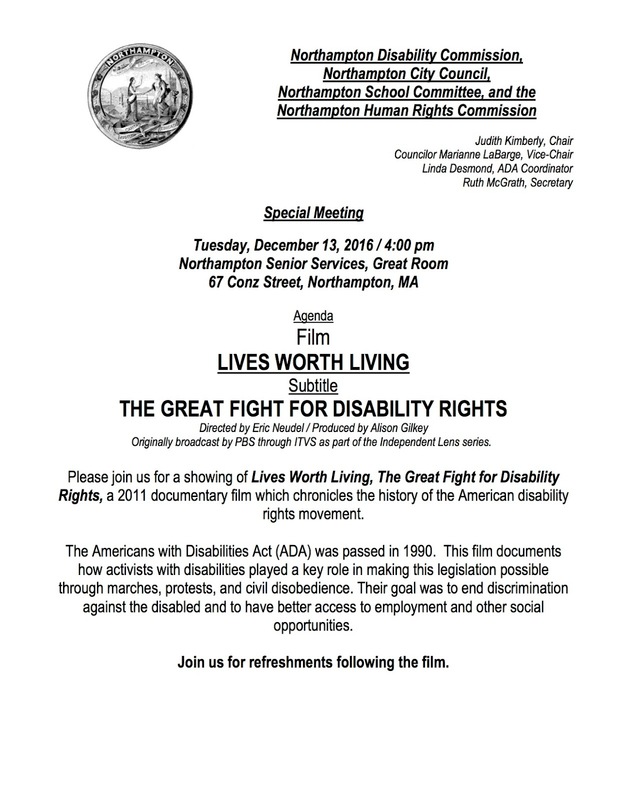 The Americans with Disabilities Act (ADA) was passed in 1990. 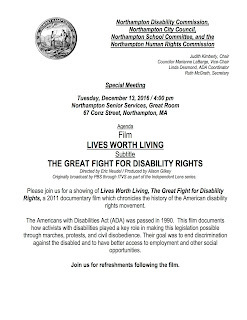 This film documents how activists with disabilities played a key role in making this legislation possible through marches, protests, and civil disobedience. Their goal was to end discrimination against the disabled and to have better access to employment and other social opportunities. Join us for refreshments following the film.